So, what we will be looking at is another recent Ebay win. G.I. 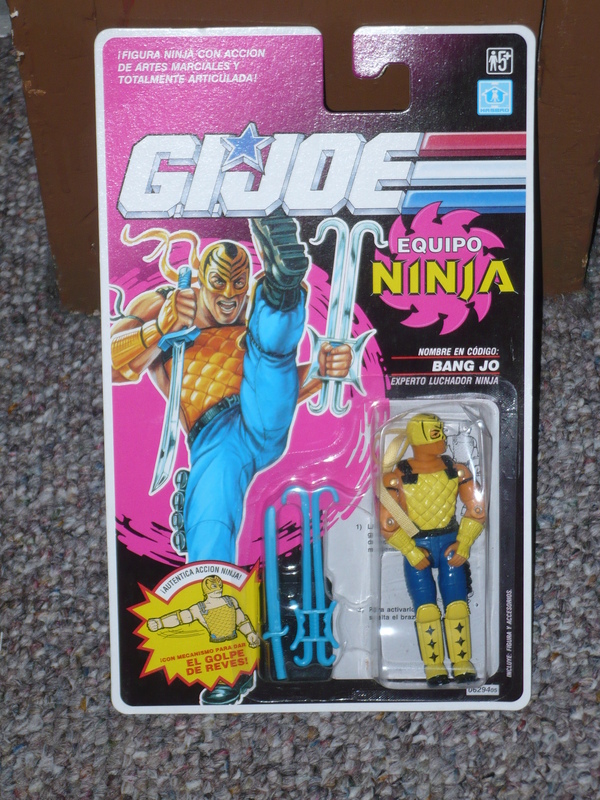 Joe, Equipo Ninja, Bang-Jo. What’s weird about this, is it’s obviously from a Spanish speaking market, it was sold to me from China! My winning bid was $3, and it included free shipping. The seller sent me an e-mail stating that the figure I won was out of stock. They asked me to pick something else, or they would give me a refund. $3 is a good deal for a carded figure, so I told them they could substitute my win with a similar figure. 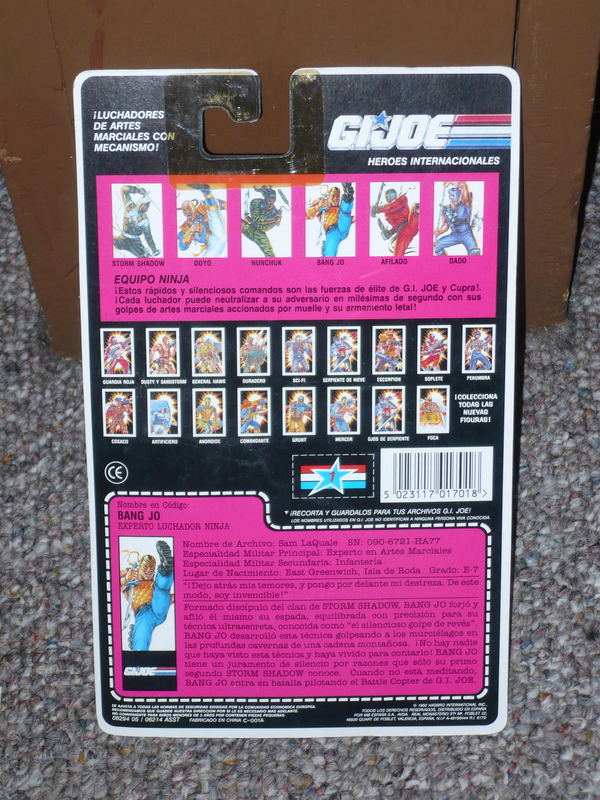 The package is copyrighted 1992 Hasbro. These figures came out just as I was phasing away from toys. More than anything else, I like the packaging itself. It’s art! The packaging for the toys of my generation are some of the best looking(I may be a bit biased though). I know this isn’t a highly sought after figure, but it sure does look nice. I would pick up any old-school G.I. Joe figure that’s still carded for less than half of what the new ones go for. Obviously, I don’t know anything more about this guy. Sometimes you can still find a deal on Ebay. Who knew? !